1. 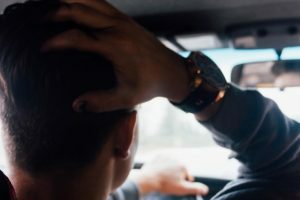 Distracted driving: If you’re caught looking at your phone, texting or talking on your phone while driving, you will face much bigger fines and more demerit points, the province is warning. The current fine for distracted driving is approximately $200. As of Tuesday, those found guilty of distracted driving will face fines up to $1,000 and more demerit points. Drivers with G1 or G2 licenses could have their permits suspended on the spot. 2. Pedestrian crossovers: Drivers will have to wait until pedestrians have completely crossed the road at pedestrian crossovers and school crossings before proceeding. About half of all fatal traffic accidents involving pedestrians occur at intersections, the Ministry of Transportation said. The new law is an attempt to make roads safer for pedestrians. This change will take effect in January. 3. Passing cyclists: Drivers will have to give cyclists at least one metre of room wherever possible. The fine for breaking this rule has not yet been set. Motorists who open the door of their vehicle into the path of a cyclist without checking will face fines between $300 and $1,000 and three demerit points. 4. The “move over” law: As for Sept. 1, drivers will be require to slow down and move into the next lane whenever they see a stopped emergency vehicle with its red and blue lights flashing. This will apply to stopped tow trucks that have amber lights flashing. The fine for breaking these rules will be $490 and three demerit points. 5. Alcohol and drugs: Those caught driving under the influence of drugs will now face the same penalties as drunk drivers, the ministry said. These include between a three and 90-day license suspension and a week-long vehicle impoundment. More than 45 per cent of drivers killed in Ontario were found that have drugs or alcohol in their systems.